Frog God Games is a 3rd Party Publisher for 5th Edition, The Pathfinder Roleplaying Game and 1st Party Publisher for Swords & Wizardry. Bill Webb has over 300 books to his credit-writing, developing and directing the creation of over 150,000 pages of fantasy RPG material as the creative director. His best known works include Rappan Athuk, The Sword of Air, The Slumbering Tsar Saga, Tome of Horror, Wilderlands of High Fantasy, Dungeon of Graves, Demons and Devils, the Crucible of Freya, and The Lost City of Barakus (with WDB Kenower). 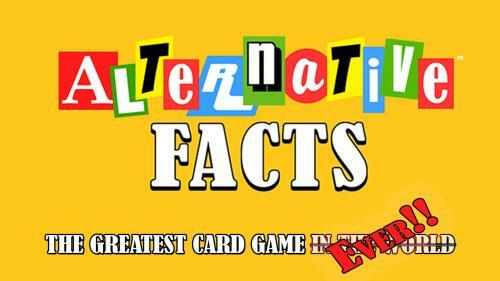 His works have won several ENnie Awards. Matt Finch is the ENnie-award winning author of Swords & Wizardry, the simulacrum/clone of the 1974 Original Edition rule-set. 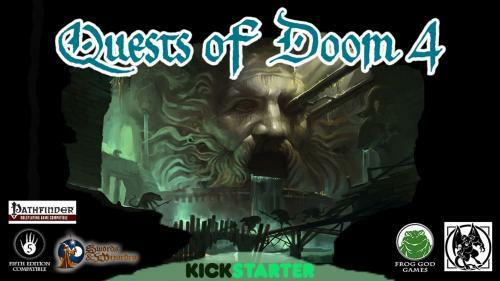 He is also the author of the (somewhat infamous) Quick Primer for Old School Gaming along with several adventure modules and gaming resources. Chuck Wright worked with Necromancer Games on some of their free products as well as cover layouts and layout & typesetting before becoming the layout and Art Director for Frog God Games. The most well known of these would be the Gold ENnie award-winning "The Lost City of Barakus". He also donates his spare time on the site D20PFSRD.com converting (and eventually creating) creatures for The Pathfinder Role Playing Game. Zach Glazar was a little of everything before launching a kickstarter under his own small press company, Lesser Gnome for Whisper & Venom in 2013. Whisper & Venom and its follow-up, Death & Taxes, were Ennie nominated and well-received box setse stuffed with everything from books to dice to figurines. 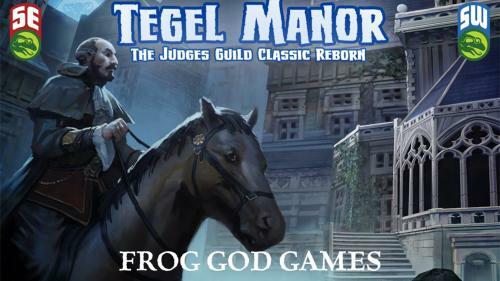 Zach became a partner at Frog God Games in 2016. Adventures to last a lifetime! 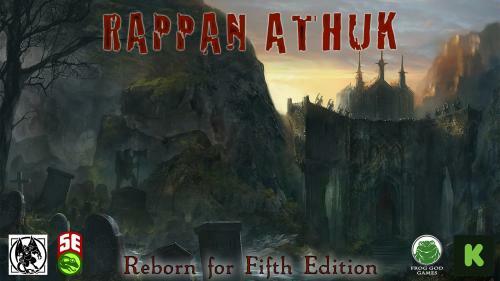 The setting of Rappan Athuk, Stoneheart Valley, Bard's Gate and all of Frog God and Necromancer Games! 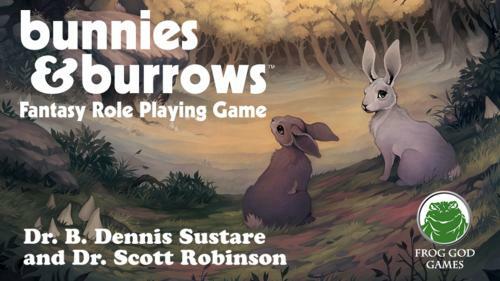 Bunnies and Burrows 3rd Edition - Something wicked this way hops! 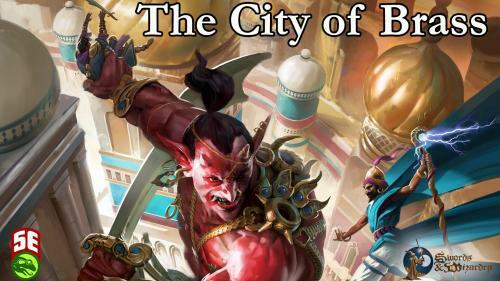 City of Brass: A Legendary Adventure for 5e and Swords and Wizardry! Based on the 2006 Necromancer Games classic! 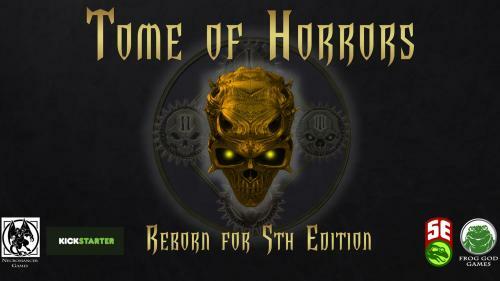 Unleash the first volume of Frog God Games' iconic Tome of Horrors series. 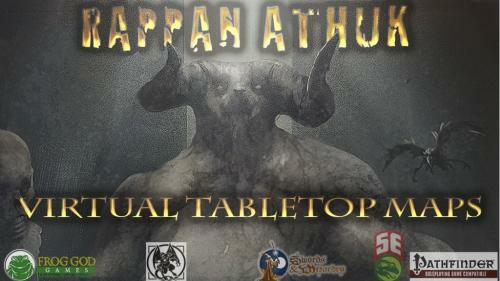 Reimagined and redesigned for your 5th edition campaign. Over 200 Color JPEG Player & GM Maps and/or 80+ layered digital files for 5e, Pathfinder, Swords & Wizardry, or a GM's home campaign. 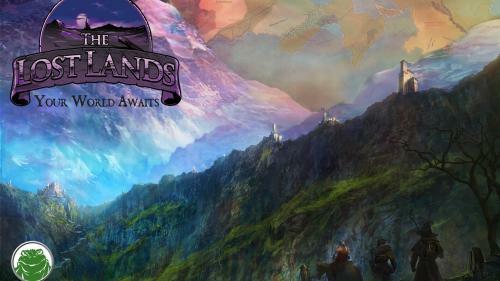 Adventures worth winning for Fifth Edition, Swords and Wizardry, and Pathfinder. 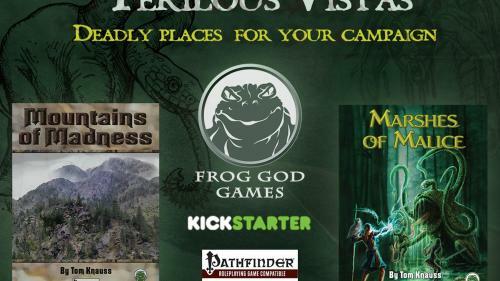 Perilous Vistas: Mountains of Madness and Marshes of Malice for Pathfinder. Fight for spin-control in a communications media that has gone wild with bizarre ideas, outrageous theories, and weird concepts!